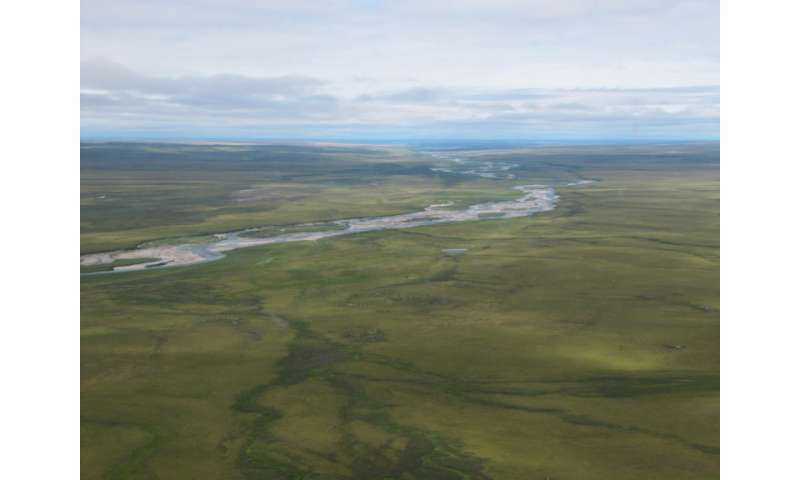 Scientists who study climate and ecosystems in the Arctic have weighed in on future changes in the region affecting soils, streams and wildfire, which will be releasing greater amounts of carbon dioxide and other greenhouse gases into the atmosphere. Because the Arctic is home to billions of tons of naturally occurring carbon stored in frozen soil, researchers are turning their focus to trying to quantify potential effects of large-scale permafrost thawing. An expert assessment was published this month in Environmental Research Letters, which compiled quantitative input on the high-latitude carbon balance from 98 researchers including NAU's Ted Schuur, Michelle Mack and Christina Schaedel. Schaedel, whose expertise includes permafrost carbon and plant ecophysiology, filled out the biomass survey evaluating changes in the boreal forest and arctic tundra non-soil biomass for four different warming scenarios and three different time frames: the short term, near the end of the current century and a long-term scenario ending in 2300. As temperatures continue to inch up, shifts in carbon are expected from additional wildfires and the collapse of coastlines, which release carbon into the ocean. Schaedel said a change or loss in biomass could mean that the permafrost region will become a strong source of carbon. "Results from this expert opinion survey indicate that tundra and boreal biomass might not offset much of permafrost carbon release when considering the different warming scenarios and that the only way to keep permafrost carbon in the ground is to reduce human emissions," Schaedel said. As frozen soil in the Arctic continues to thaw at a relatively fast pace, researchers are focused on the permafrost carbon cycle, quantifying the amount of carbon released to the atmosphere, the ocean and consumed by microbes. Among experts queried for this study, under a business-as-usual scenario in the Arctic region, five-times more net carbon would be released by 2100. Findings also suggested that if human emissions were rapidly reduced, the thawing of temperature-sensitive permafrost could be drastically reduced. This expert analysis can be considered a powerful tool in an evolving field of research, which needs more empirical data and advanced model-based assessments, Schaedel added. The findings also identify key areas for future research needs.